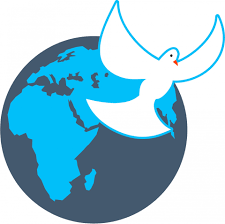 The International Day of Peace, also known as Peace Day, was brought into being by United Nations Resolutions in 1981 and 2001. Each year, hundreds of students take part in a student observance of Peace Day at the United Nations which includes Messengers of Peace. View the UN’s Peace Day page: www.un.org/peaceday.